The smiling face you see when walking into the Reno office, Ashley was born and raised in Sacramento, before moving to Reno in 2001. She began working with Family First Chiropractic in 2014. She loves Reno because it has a big city feel while still being small. In her free time, Ashely loves to cook, paint and go on adventures with friends and her dog, Coco. Her favorite part about being on the Family First Chiropractic team is that people are welcoming and loving from the first day you meet them. The patient stories inspire her and she loves how much of an impact FFC has on the community. Tammy is the mom to four wonderful boys, and spreads her mothering nature to everyone she meets! Born and raised in Nevada Tammy loves to travel and camp, happily married for 15 years she and her husband make a habit of adventuring around the state. Originally Tammy was a patient at Family First Chiropractic, and as a patient Family First Chiropractic made such a difference in her life that she had to work here. 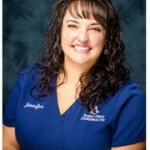 Jen has been working with Family First Chiropractic since 2005. Her favorite part about her job is the energy of the staff and the daily interaction with patients. 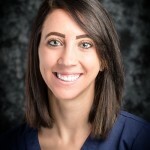 Jen is a positive, loving, and outgoing individual and knows that Family First Chiropractic stands out above the rest because of the relationship we develop between patients and team, making them more like friends and family. In her spare time she enjoys Basque dancing, fishing, traveling, and spending quality time with her family, friends, and her dog, RockoLove. Chase brings the energy and laughter at Family First Chiropractic! 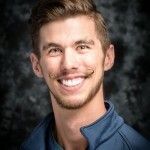 He is very well known by his beloved mustache and it’s highly possible that patients come in just to see him! He always has a smile on his face and is quick with a joke and a hug. He is very compassionate about Chiropractic and has been adjusted by his dad, Dr. Rick, since he was 5 years old. Chase enjoys rock climbing, music, any new event that comes his way, and eating his mother’s amazing food. Lacie grew up in Camarillo, CA and relocated to Reno, NV in 2016. Her favorite part about being on the Family First Chiropractic team is the genuine care and support the office offers. Financial coordinating has allowed Lacie to connect with patients and families, allowing them to feel comfortable and committed to their care. At the young age of 12, Lacie was in a car accident. She believes that chiropractic care gave her a second chance at life. In her spare time she enjoys spending time with her husband, and two dogs. She also enjoys photography, painting and being outdoors. 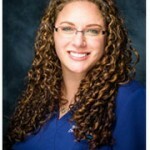 Katie has been with Family First Chiropractic since 2006. 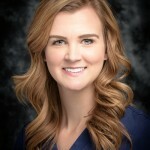 Born and raised in the small town Wasilla, Alaska, Katie followed her parents down to Reno after graduating high school in 2004. Katie really enjoys being at home with her family and friends and spending time with them is the top priority in her life. Katie loves to meet new people, and although she might be shy at first, she is quick to open up. Her contagious laugh and love for the young patients at FFC makes the whole office light up. Missy has been getting adjusted with Family First Chiropractic since she was ten years old and always wanted to work with the team. Her young dream came true in 2016 when Family First Chiropractic hired her because of her honesty, attention to detail, and beautiful smile! Missy enjoys seeing the families in the office especially the kids. She has a German Shepherd, Sulley, that she enjoys taking him on road trips and to dog parks. She has loved Disneyland since she was a young girl and attempts to visit every year. Her family is number one to her which is another reason why she makes our team whole. 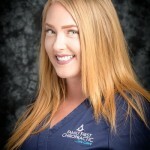 Amy has been with Family First Chiropractic since early 2017. After graduating with her Medical Assistant degree we were excited to have her on our team. She is a hard worker with a heart of gold, a giggle to make you laugh, and a smile that will warm your heart. She enjoys sharing stories and team building with her positive team members. Amy loves spending time with her family. She strives to be like her mother and best friend, Sonia. Marissa Camarena was born and raised in a small farm town in central California. She moved to Reno in 2008, then became a nurse assistant for a local hospital in 2014. 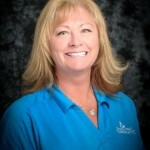 Passionate about helping others in a more natural approach, she found herself interested in chiropractic care. 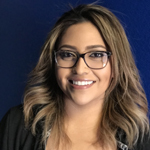 Her favorite thing about working at Family First Chiropractic is being able to work with such a caring and smart team, along with helping the amazing families in our community. In her free time she enjoys BBQ’s with friends and family, hikes in the mountains with her chocolate lab Banksy, swimming in the ocean, road trips to a national forest, and hanging out at music festivals. When she isn’t out and about you’ll usually find her home painting a new art piece, cooking new recipes, practicing yoga, and listening to new music.